Mobile pet groomers at your service! Your pets deserve the best and Hollywood Grooming is the largest and most experienced pet grooming company in Los Angeles. For over 20 years, Hollywood Grooming has been making dogs and cats in our area look and feel their best. We have locations in Los Angeles and Palo Alto meaning our all-star team of pet groomers are always just a phone call away. We take our duty seriously at Hollywood Grooming to ensure that your dog or cat has the most enjoyable experience possible. We do not use muzzles, cages or restraints and we make sure your pet is relaxed with a lavender oil massage. The products we use on your pet are all natural, hypoallergenic as well as chemical and perfume free. Our services are also 100% guaranteed. 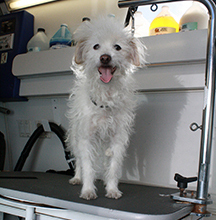 If you are unable to visit one of our locations, we can come to you in one of our 6 mobile pet grooming vans. When you bring in pet for the Hollywood Grooming experience, they can expect to be relaxed and comfortable. 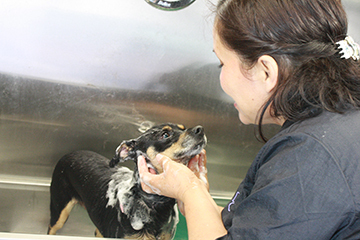 Each grooming session includes a combing out, nail trimming, teeth cleaning, a bath with all-natural shampoo and conditioner, flea and tick medicated bath (if necessary) and a calming lavender oil massage. We will hand-dry and fluff your pet, then give them a beautiful and professional haircut. In the end, we will provide you with a report on the health of your pet’s skin and coat. A complete luxury “Groom-a-Therapy” experience. 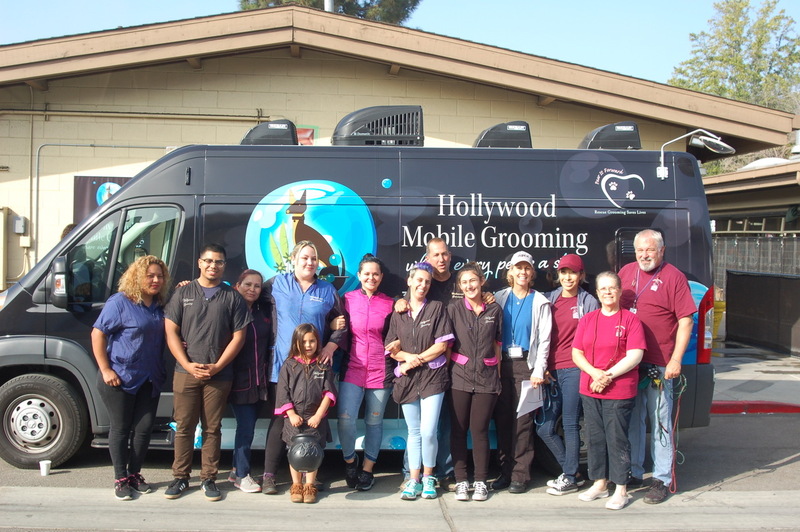 Hollywood Grooming was the first pet grooming company in Los Angeles to offer mobile services. Our state-of-the-art vans are comfortable and clean. We use heated water when we bathe your pet and all vans have a high-powered vacuum system to help clean and disinfect after each grooming. 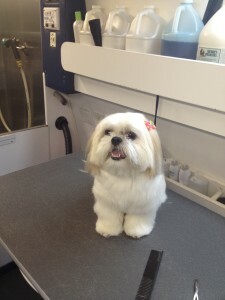 Hollywood Grooming believes that each pet deserves a loving owner and a good home. 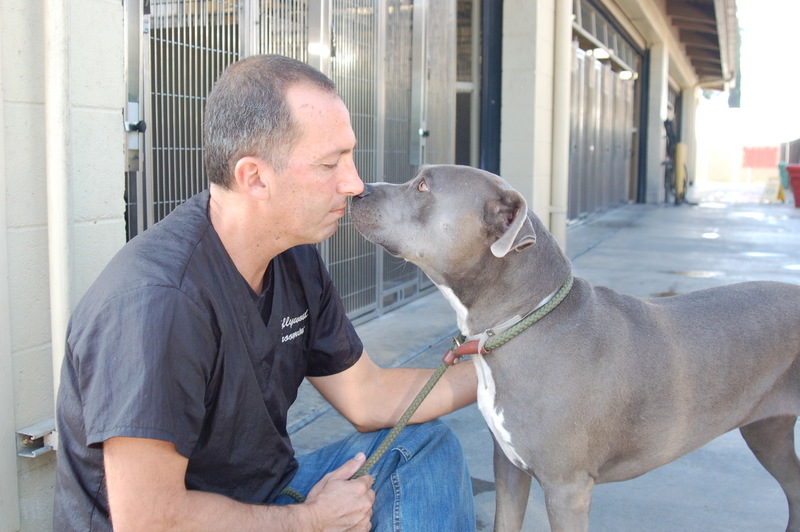 That is why we are involved with the Hollywood Rescue Grooming Foundation. We travel several times a year to pet shelters to provide free grooming services to pets who need a second chance. A groomed pet stands a much better chance of being adopted. We are a non-profit organization that operates on tax-deductible donations. If you are wanting the best pet grooming services in Los Angeles & Palo Alto and a company you can trust to make your loved one feel safe, beautiful and healthy, then call Hollywood Grooming today at (888) 665-7766. Where every pet is a star!